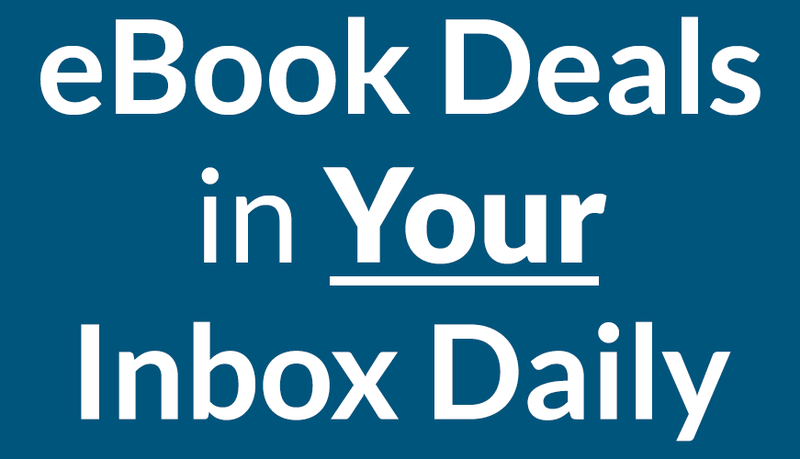 Here are some more great free ebooks for the day! Don’t forget the deals on the Kindle Fire HDX! I have had mine for 2 days now. I love it. The screen is so crisp and clear, the responsiveness is amazing. Nick Ceratto, a young, cracker jack litigator looking for a partnership in the prestigious Philadelphia law firm of Maglio, Silvio, and Levin discovers his firm’s dark seceret for increasing it’s bottom line while preparing a medical malpractice case for trial.The partners are setting up major cases by seriously injuring and even murdering their clients to produce huge jury awards. 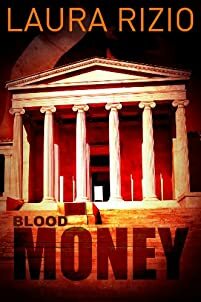 When the firm discovers he knows, Nick’s only hope is to stay one step ahead of the hitman long enough to intentionally lose his case and expose the firm’s corruption. As his mission careens towards an explosive climax, the only question left, is whose lives will be sacrificed along the way. 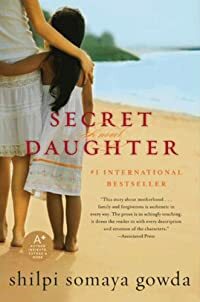 In India in 1984, destitute Kavita secretly carries her newborn daughter to an orphanage, knowing her husband, Jasu, would do away with the baby just as he had with their firstborn daughter. In their social stratum, girls are considered worthless because they can’t perform physical labor, and their dowries are exorbitant. That same year in San Francisco, two doctors, Somer and Krishnan, she from San Diego, he from Bombay, suffer their second miscarriage and consider adoption. They adopt Asha, a 10-month-old Indian girl from a Bombay orphanage. Yes, it’s Kavita’s daughter. In alternating chapters, Gowda traces Asha’s life in America—her struggle being a minority, despite living a charmed life, and Kavita and Jasu’s hardships, including several years spent in Dharavi, Bombay’s (now Mumbai’s) infamous slum, and the realization that their son has turned to drugs. He is the son of a chieftan, destined to lead. She is the daughter of a songvari, fated to serve. 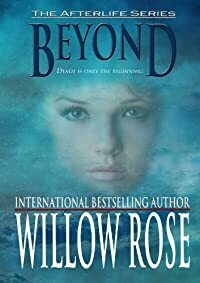 Together, they must discover the secrets of their heritage and be bonded as Sal Drengrs – Soul Warriors – to overcome an ancient darkness that threatens to destroy their worlds. Hallad Avarson knows nothing of the realms beyond his village. The worlds, gods, magics, and the Shadow are only tales told on moonless nights. What he does know is that something has always been missing from his life. Then, one evening, a mysterious warrior maiden appears in the Great Wood near his village. As their eyes meet, he knows–she is what fills that void. An immediate and unexplainable bond is formed. Even though she does not speak, he hears her voice in his head, and an overwhelming desire to protect her at all costs wells inside him. At the same moment they meet, Hallad’s little sister disappears into the Shadow. As his friends and village turn against the woman, blaming her for his sister’s disappearance, Hallad and the warrior maiden are forced to flee. Now, Hallad is thrown headlong into the realms of magic, manipulations, and worst off, the Shadow, who hunts both him and the woman. 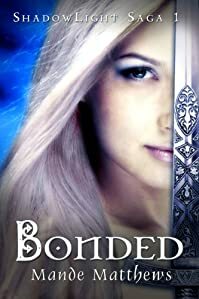 Can Hallad save his sister from the clutches of an unknown foe, outsmart the trickery of the Shadow, and unravel the mysterious connection between him and the warrior maiden before the Shadow forces them apart? Or will the Shadow stop Hallad from discovering the truth of his heritage, the danger that awaits their worlds, and the destiny he and the warrior woman he protects share? It was bad enough that they had to move to Brooklyn—Brooklyn Heights, as Tucker Woolf’s dad instructs him to tell everyone after he loses his job. Now his father has suddenly developed an allergy to Tucker’s cat, Nader, a nine-month-old calico Tucker found underneath a Chevrolet. 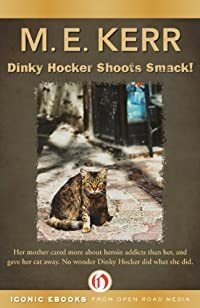 Tucker’s beloved pet finds a new home with overweight, outrageous Susan “Dinky” Hocker, the only person to answer Tucker’s ad. As Tucker starts paying regular visits to Dinky’s house to check up on Nader, his life begins to change. Dinky introduces Tucker to her strange cousin, Natalia Line, a compulsive rhymer whom Tucker finds fascinating. And enter P. John Knight, who’s fat like Dinky . . . and now, like Nader. With this odd cast of characters, a little world is created for big kids who need to go on diets. And who also, all of them, need to find out who they are. Police Officer Jack Stratton is hiding. Hiding from the world. From pain. From the memories of losing his best friend, Chandler, in Iraq. Romancing Rudy Raindear: North Pole, Main is a curious town where Christmas is celebrated all year long. And this Christmas is no exception. Unfortunately, Rudy no longer believes in Christmas and has gotten on Santa’s naughty list. Rudy’s red nose proves it. That is until Jenny Bells takes on the challenge of showing him just what ‘being good’ really means. 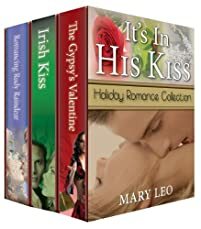 The Gypsy’s Valentine: When a gypsy’s prediction begins to come true, Rose Cupido dismisses it as coincidence, but when a past lover shows up reminding her of the passion they once shared, Rose can’t help wondering if that gypsy had true magical powers. 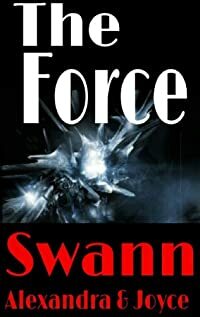 A dark force is rising…. 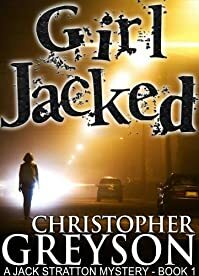 When Jarrod and Joshua Sinclair are called in to consult with the FBI about the Hollywood Starlet murders, they immediately suspect their old nemesis Josef Helmick of creating clones of famous women for a visiting Saudi prince. Wasting no time, they hire retired detective Fred Kowalski and send him to Dubai to uncover Josef’s base of operations and build a case against him for the murders. 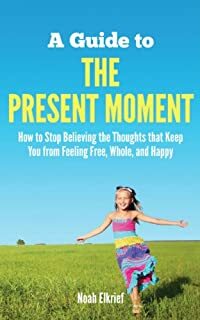 Do you want to stop living with anxiety, shame, unworthiness, depression, anger, guilt, sadness, worry, or fear? It certainly seems as though these emotions are inevitable, and directly created by our circumstances, our situations, and the people in our lives. However, it is possible to discover that all your unwanted emotions are actually created by the thoughts in your mind. More importantly, each of these emotions can vanish in an instant if you just stop believing the thoughts that create them. 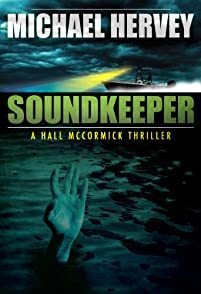 Hall McCormick, a reluctant Refuge Enforcement Officer, is learning the ropes in his new job, which he hopes is only temporary while he waits for the marine biologist job he really wants. He is sad that the beautiful young environmentalist he dated briefly has mysteriously disappeared. While pursuing poachers and keeping the shoreline safe for all animals, he finds kills of marine life, due to someone dumping toxic chemicals into Port Royal Sound. After Gale’s boat is found deserted and drifting to sea, will anyone keep searching for her? Will the criminal polluters be caught in time to save Gale’s life? Will Hall learn to appreciate his job as much as being a scientist? As he races against time, Hall needs to find Gale’s would-be killer before it’s too late. Death is only the beginning …Meghan is 16 when she dies. She wakes up on a flying steamboat on her way to a school run by Angels in a white marble castle. On the boat she meets Mick who has been dead for more than a hundred years but still looks like a teenager. He helps her past the difficult beginning at the new school in a new world filled with magic. One day some of Meghan’s roommates find a mirror in the cellar of the school and they persuade her to go through it with them – well knowing it is strictly against the rules of the school. Meghan ends up back on earth where she meets Jason. But Jason is in danger and Meghan knows something important. Something that is a matter of life and death. Soon she is forced to choose between the two worlds. The one she belongs to now and the one she left. I, the flawless Aspen Brooks, was born to be Homecoming Queen. I’ve prepped for it like some kids do the SAT. So can someone please tell me why the crown was given to my evil nemesis? But things start getting serious when girls begin disappearing. I can’t be worrying about tiaras or crushing on a geek when the detective on the case is completely clueless. I have to save the day, all while looking fabulous. Gus always knew that his weight would kill him. He had tried all the diets; no fat, low fat, eat all you want. During a particularly down spell he even had a go at the finger-down-your-throat weight loss management program. But it was hopeless. In the end his weight did play a role in his death, but it happened in a way that he never could have imagined. Ransom Lake explores the bond between two lifelong friends and what one is willing to sacrifice for the salvation of the other. Best friends Meagan Davis and Jake Nichols were born on the wrong side of the tracks. 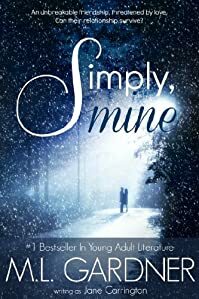 Living in a rundown trailer park–her with a welfare scheming, neglectful mother and him with a father wounded in the Gulf War and suffering from PTSD–they forge a friendship they think is unbreakable. 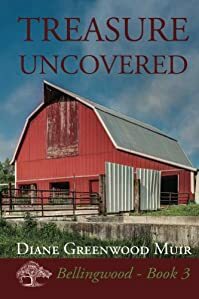 Polly Giller has had the worst luck with finding a good custodian for Sycamore House and the murder of her latest employee draws even more attention to her propensity for finding dead bodies. Sheriff Aaron Merritt just assumes that when she calls him, it’s because she’s found someone. The pool at the Elevator expands as the locals lay odds on Polly’s next find. When Beryl Watson ends up in the hospital because of an explosion, the last thing she wants is to be a statistic in Polly’s life. Sal Kahane, Polly’s college roommate and best friend from Boston, comes to Iowa to see what all the fuss is about at Sycamore House. 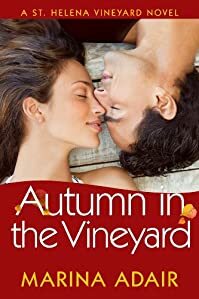 The city girl has to keep an open mind in order to understand why her friend loves living among the cornfields. Polly’s relationship with Henry Sturtz, her contractor and friend, continues to grow. When he left town for a couple of months, she discovered how important he was. 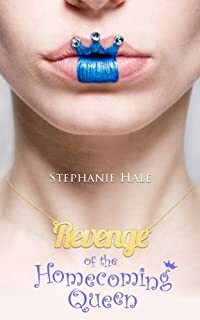 Polly takes a risk on a new custodian with a mysterious background and farm thefts disrupt the little town. She finds herself worrying about locking things up again; something she had ceased doing when she moved out of Boston. Things are never dull in Bellingwood and with the introduction of wonderful, new characters, Polly comes to a better understanding of herself and her relationship with this little town. All of the regulars are back with some stories of their own to tell. Los Angeles Times Investigative Reporter Eddie Hansen gets a tip on a missing death row prisoner being held at a Behavioral Health Center in a remote location outside the small town of Dell City, Texas. 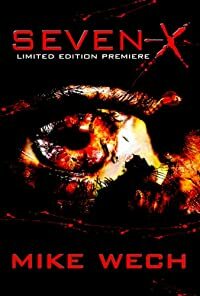 With an opportunity to break the story, Eddie voluntarily commits himself into the asylum in hopes of finding Annette Dobson, “The SIDS Killer.” She is rumored to have had her execution faked so she could be shipped to the asylum, have an exorcism and give birth to the child the world thinks is dead. Eddie’s journals, video diary and recordings leave a trail of breadcrumbs into experimental procedures conducted on patients without their consent. As he dives deeper into his investigation, Eddie is forced to confront his own demons as an unwilling participant in the asylum’s controversial rehabilitation procedures. Eighth grader Rachel Scott finally has the perfect boyfriend. He’s good looking, athletic and wealthy. The only problem is he doesn’t actually exist. Rachel’s escape into her fantasy world worries her parents and they insist she meet with the school counsellor. 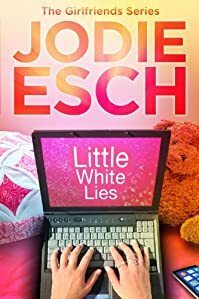 Frustrated with her life and without her best friend’s approval, Rachel heads down a dangerous path, looking for love in all the wrong places. 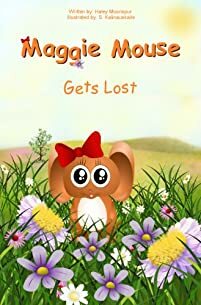 ‘Maggie Mouse Gets Lost’ is a sweet rhyming picture book ideal for kids 0-3 years of age. It talks about a young girl mouse that gets lost in the prairie. Maggie Mouse sets a great example to young kids as she remembers the safety lesson ‘Momma’ taught her about what to do when she is lost.